While fans will have to wait until the video game genre in Hollywood begins to flourish before ever seeing a Halo live-action movie, it’s looking like a Gears of War movie is well on its way. Last year, Universal Pictures and Microsoft formed an alliance to produce a film adaptation of the longtime popular X-Box franchise. Today, there’s word that Universal has hired screenwriter Shane Salerno (Armageddon) to pen the script. This great news for fans, considering that several studios have been attempting to crack a story for nearly a decade now. The difference maker is obviously Universal, a studio who’s demonstrated an ability create successful franchises with Fast & Furious, Jurassic World, and possibly their upcoming Monster-verse (The Mummy). As for this newly hired screenwriter, Armageddon might be Salerno’s most well-known effort, although that could change if James Cameron’s Avatar sequels are a hit, as he served as one of the writers. I’m very much interested in a Gears of War adaptation, only if it’s R-rated. The lore is fascinating, and a big part is the character personalities like Marcus Fennix, along with the violence that comes with our heroes having chainsaw guns. The last thing I want is for this adaptation to be watered down, in favor of box office profits. If this adaptation is good, people will see it. That’s a proven fact. For those who aren’t aware of what Gears of War is, here’s a brief description (via. Collider). 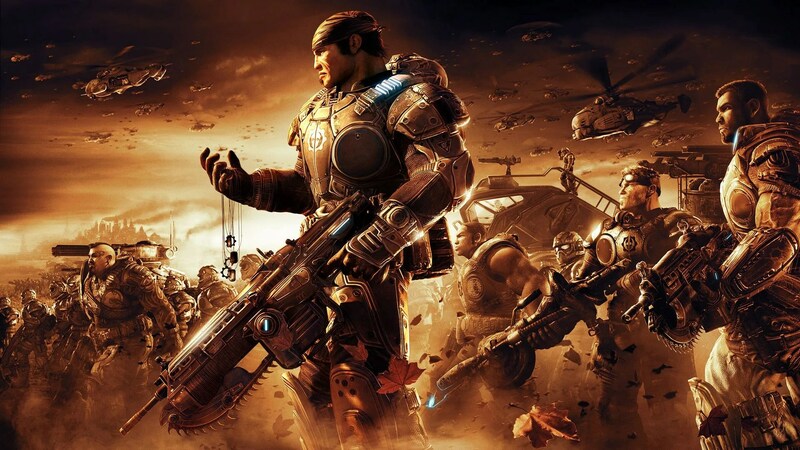 Gears of War is a military sci-fi third person shooter that centers on the soldiers of Delta Squad, originally soldier Marcus Fenix, in their last-ditch fight to save the human inhabitants of the planet Sera from an invasion of unstoppable subterranean creatures known as the Locust Horde.